Tonight at 6 PM, come out for board and card games, come out for the Penguicon dinner, or both! Choose from dozens of games. One which we will playtest is my new tile game that I made on the laser cutter, in which the players build an island and plant trees on it. At the same time, there will be a Penguicon dinner, in which we discuss plans for the upcoming convention of science fiction and open source software. Visit your local hackerspace. Hello, Kalamazoo! But if you’re in Kalamazoo, or know any hackers/makers who are, you might want to get involved in Xipherspace. 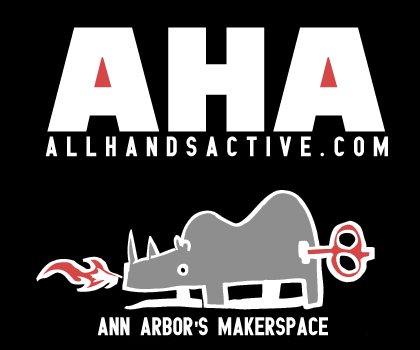 There isn’t a hackerspace/makerspace in every town quite yet, but new ones seem to be popping up quite often! The most surprising part? They cited us as an inspiration, and let me tell you, that’s an amazing bit of flattery. If you’re in another area, leave a comment on this post! I’m curious how far-flung our blog readership is, and even more curious what your experiences have been when visiting other spaces around the state, country, or world. https://www.i3detroit.org/wp-content/uploads/2014/03/Logo_large_png8-300x98.png 0 0 Nate Bezanson https://www.i3detroit.org/wp-content/uploads/2014/03/Logo_large_png8-300x98.png Nate Bezanson2011-11-18 14:46:272011-11-18 14:46:27Visit your local hackerspace. Hello, Kalamazoo!